On December 23, 1942, a group of four P-40 aircraft were scheduled to fly a gunnery practice mission. 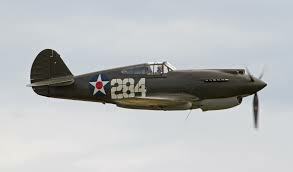 The first aircraft flown by Lt. Julian Adams took off without incident. The second aircraft (41-13720) piloted by 2nd Lt. Herbert Lawler, 25, suddenly developed engine trouble during take off. The engine was heard to misfire, and smoke was seen trailing as the aircraft became airborne. Moments later Lawler crashed into a wooded area just beyond the air field. The P-40 caught fire after impact, and Lt. Lawler suffered fatal burns. He succumbed to his injuries five days later on December 28. Lt. Lawler was from Houston, Texas, and he’s buried at the Earthman Resthaven Cemetery in Houston. A photo of his grave can be found at www.Findagrave.com Memorial #47226508.